A group of filmmakers venture to a remote, mysterious commune in search of a friend. The Triangle is an example of a found footage film that understands the limits of the format and explores them in a way that’s both fresh and familiar. Found footage is what it is - you can either decide to dislike the format or just get on board with it. And if you’re willing to take the journey, The Triangle is a strong example of what can be achieved. It’s framed as a story of a group of filmmakers who head off into the wilderness when they get a mysterious and slightly ominous postcard from a friend. 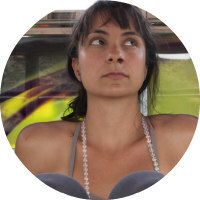 Once there, they find an unusual community filled with people intent on living off the grid, and then other things happen. To reveal any of the rest of the story would do a disservice to the way this project is constructed. It’s the work of a five person team including David Blair, Nathaniel Peterson, Adam Pitman, Andrew Rizzo and Adam Stilwell, all of whom also play a version of themselves in front of the camera. The faux documentary style is well maintained without being too fussy about the rules (which is always welcome) and the film gains points for a collection of very natural performances and found moments that really add to the feeling of events unfolding without a script. It’s often gorgeous too, starting with a wonderfully designed travel montage of fast cutting split screens and capturing the natural beauty of isolated Montana in a way that’s both striking and sinister. The Triangle isn’t in a hurry to get anywhere, which really adds to its documentary feel, and that slow pace may turn off some audience members who are expecting more of a thriller or horror vibe. It’s also a film that doesn’t quite go in the direction you expect, especially in the finale, which ups the pacing but still maintains a sense of observation that’s very much in keeping with the style. Ultimately, the first half of the film is more successful in building atmosphere and mood, with the final act an altogether louder experience that builds to a climax that feels mostly satisfactory, if a little abrupt. The Triangle is an example of a found footage film that understands the limits of the format and explores them in a way that’s both fresh and familiar. The performances are particularly good but the slow pace and staccato ending may frustrate viewers looking for something more conventional. 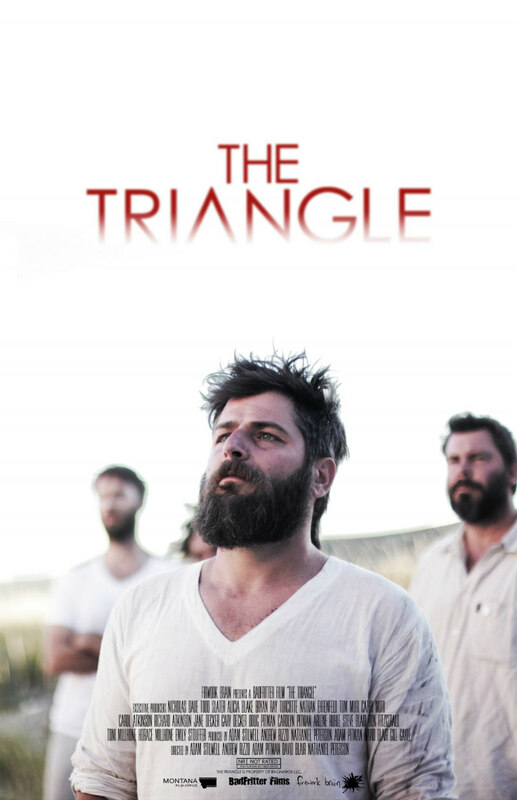 The Triangle is on VOD now.